The Public Health Office in Kalabo district has intercepted a carcass of an ox suspected to be infected with anthrax. Acting District Health Director, Golden Apuleni told Zambia News & Information Service (ZANIS) that the carcass was intercepted following a tipoff from a named local butchery at Kashitu market where a cattle trader took the skinned carcass for sale. “Investigations revealed that the ox was from the anthrax endemic N’uma area but suddenly died at Tapo cattle loading bay while in transit to Mongu Zambeef abattoir for slaughter,” he said. Apuleni disclosed that the carcass had since been disposed of after taking samples for testing. And District Public Health Officer, Maimpa Mumba said his office had scaled up health surveillance system in a bid to curb the suspected anthrax following reported four cases so far. Mumba who is also Public Health Association of Zambia President said it is against the Public Health Act Cap 295 and the Food and Drugs Act Cap 303 of the Laws of Zambia to sell or put on display meat whose carcass died on its own unless the carcass is inspected by an authorized health or veterinary officer. He explained that the Food and Drugs Act also prohibited the sale of diseased or infected meat products. He added that, consumers have a right to demand proof of procedural slaughter by verifying availability of a clearance permit which is duly signed by the district council and police. Mumba has since implored meat consumers to be on high alert and notify public health authorities of any suspected cases so that safety and compliance was adhered to. 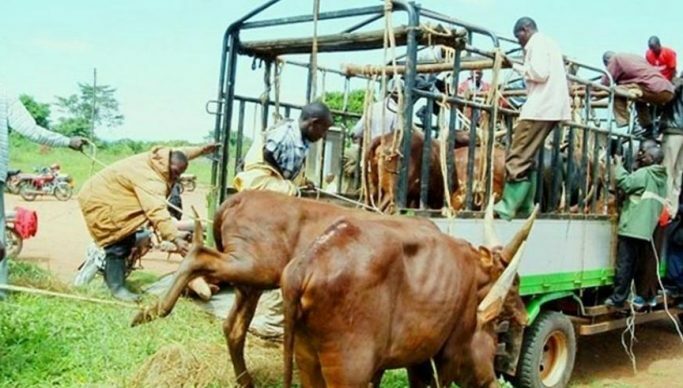 Meanwhile, veterinary assistant, Frankson Mwiya said physical inspection revealed that the carcass had a bad smell, both the meat and blood looked darker than normal and the blood did not clot 24 hours after the ox died. And the cattle trader narrated that the ox suddenly became dizzy, collapsed and died. The trader disclosed that the ox was instantly skinned and later discovered that it was bleeding from the nostrils and the spleen enlarged and filled with a smelly dark coloured fluid both of which were disposed off before transportation. Suspected anthrax has broken out in the endemic areas of N’uma and Sihole in Kalabo district with one human, two bovine and one goat case so far recorded. Vaccination has since commenced in the affected areas following government’s disbursement of 3,000 doses of anthrax vaccines to cater for thousands of cattle and hundreds of goats which are at risk of contracting the disease.